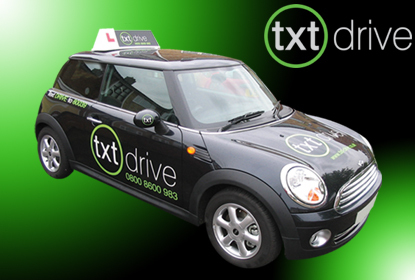 Txt-Drive Driving School Franchise : the MINI which each Txt-Drive driving instructor will use on driving lessons. Are you a driving instructor paying a £200+ franchise fee per week? Is your driving school car causing you to loose pupils? Are you being asked to do promotions like 5 HOURS for £50? Is your driving school taking on more driving instructors & is your share of pupils dropping? Is it difficult to actually speak to your driving school's manager? If you are answering YES to ANY of these questions, you may want to think about contacting Txt-Drive to see what we can offer you!! Call us in the strictest confidence : 0800 8600 983 (FREEPHONE). Txt-Drive wants to maintain a steady growth of the business to protect franchisees whilst maintaining high standards of driving instruction. Please contact us by calling : 0800 8600 983 (FREEPHONE) or email us here if you are interested in joining Txt-Drive in Bedford or surrounding areas. (All contact will be treated with confidentiality & you are, of course, under no obligation to join). Txt-Drive may be interested in expanding outside of our 'local' area - please feel free to contact us to discuss this possibility.